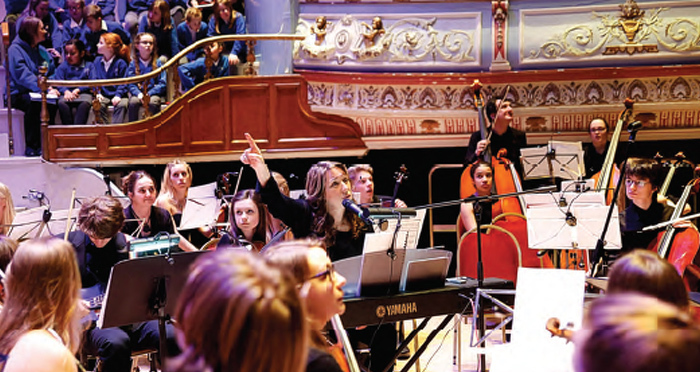 A spectacular night of music, dance and poetry recently showcased the musical skills of young people from Huddersfield, including a choir of two hundred primary school pupils and the Kirklees Youth Symphony Orchestra. The theme was astronomy – “the Mighty Sky” – and with its involvement in space engineering Reliance Precision was honoured to be a sponsor of the event. Andrew Wright, Reliance’s Managing Director, explained to parents and children the importance of bringing young people into engineering as a profession, and the exciting opportunities open to the next generation of engineers.